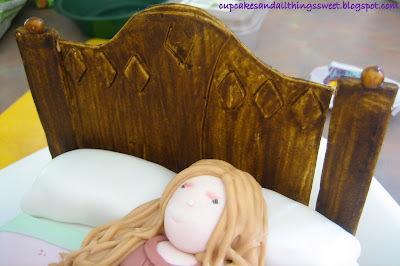 Enchanted Kitchen: Shhh, she's sleeping! 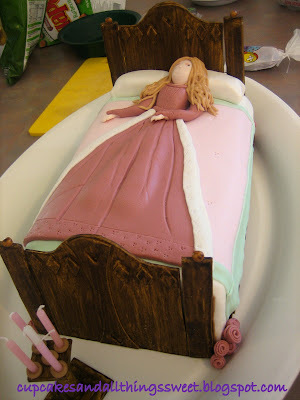 Sleeping Beauty birthday cake for my daughter. LC went through all my cake books picking out ones she liked the best, then it was a process of elimination to see which one she really liked the best and this was it. 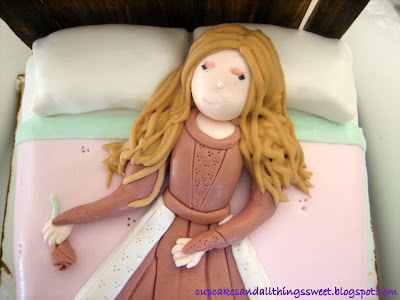 This Sleeping Beauty is from Debbie Brown's Enchanting Magical Cakes. I changed the hair colour so it would match LCs. Please excuse the mess in some of these photos. I pulled an all nighter and only remembered to take photos just before the cake was due for it's entrance. I tell you, i'll never pull an all nighter again. I had a major headache at the party (i wasn't able to enjoy it very much) and to top it off I couldn't bring myself to eat the cake until 3 days after - that's really sad! There are templates for the candleabra, bed heads and side bed things and as you can see I made the cake a little too long but put roses next to the bed to try and disguise it, anyway LC wanted roses on the cake so it all worked out well. 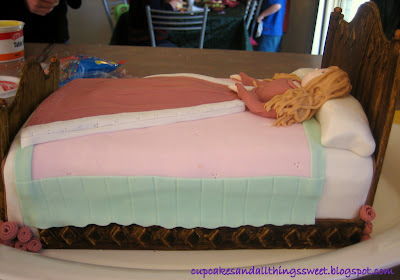 The bed head, footer and side things are made from Pastillage. I love that stuff. It dries really hard and I'm not kidding when I say that everyone wanted to taste it. Some even thought it was real wood - hmmm, maybe they were joking! 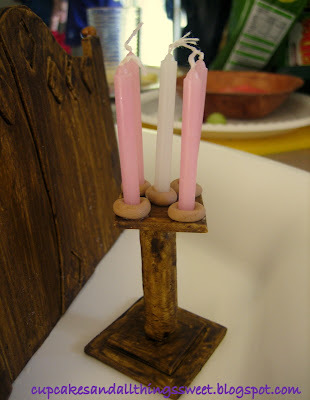 In the book Debbie uses this stand to place roses, but I thought it would be a good place to put the candles. This design is so simple but effective. All you do is get a toothpick and mark groups of three dots - instant medieval! The end of the dress. You can't see it but i used a shimmer dust to make the dress sparkle. Below is the pastillage recipe that I used. The recipe in the book calls for egg albumen which I couldn't find anywhere on the net, but luckily I found this recipe just in time. You need to make the decorations in advance so that they can dry. When it does dry it dries really really hard. Like I mentioned earlier, the bed heads were a very big hit and everyone wanted to try it. My nephew was walking around eating the bed head - ewww. I wouldn't recommend eating it though. Although it's mostly all sugar it does have raw egg and seriously I couldn't imagine it tasting very nice. 1. Put the egg white into a large mixing bowl, you don't beat the egg just add enough icing sugar until the mixture combines together into a ball. Mix in the gum tragacanth or tylose, and then turn the paste out onto a work surface and knead the pastillage well. 2. 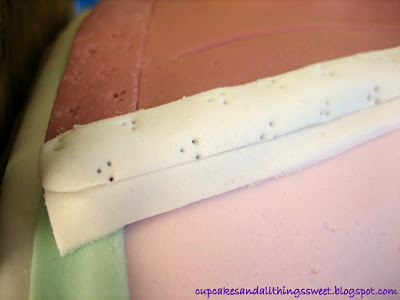 Incorporate the remaining icing sugar into the remainder of pastillage to give a stiff paste. 3. Store pastillage in a polythene bag placed in an airtight container in a refrigerator for up to one month. Notes: Pastallage dries quickly so work fast. If it does become hard you just need to keep kneading it till it comes together and becomes smooth again. OH MY THAT IS AMAZING!!! I havent even seen a cake like this in a shop.. you are awesome.. dont let any other little girls see this.. their mums will hate you!! Wow - what a creation! It looks amazing. Love the head and foot boards of the bed - such a clever wood effect. I want one! Sleeping Beauty is my favorite fairy tale! WOW!! Amazing, it's so perfect! I can't imagine the hard work you had, but the result is beautiful. Wow, this is amazing! I just clicked over from Little Nummies. You have some amazing creations here! I would love to link to some of your how-to's if you didn't mind. 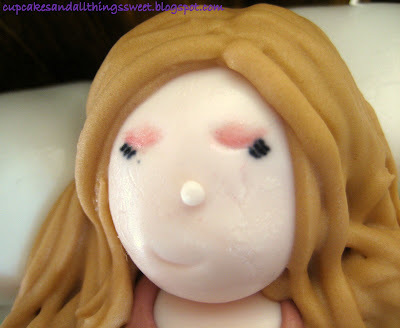 hiya i was googling square shaped cakes and your blog came up, your cakes are great. i do cakes in my spare time also, as i was dx with Muiltiple Sclorosis 7 years agao so they keep the brain ticking over lol. i don't have a blog but i do have bebo and facebook. you can have a look for yourself. hope you don't mind memessaging you. i love cookie monster, i want to go and make him now lol. Wow! The detail is AMAZING!! Your daughter must be proud of you. She's lucky to have you as her mom. 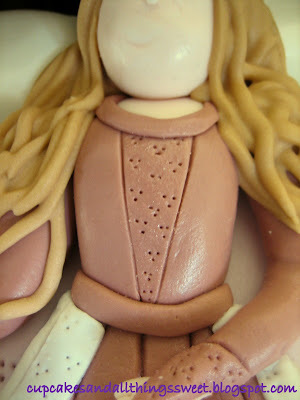 You can make her each birthday as perfect as your cakes.